Hooray! ‘Tis the season of LUV!!! Well, not quite yet. But, we decided to post this a bit early to give you ample time to print the Valentine’s Day card above. 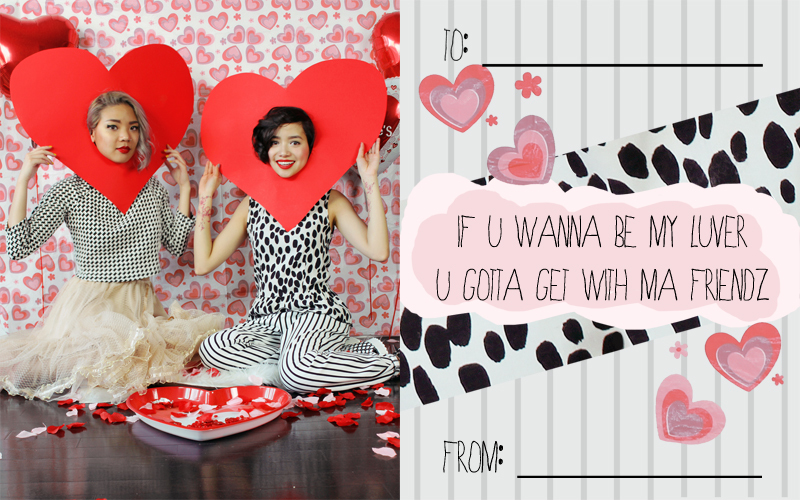 Mount it on cardboard or fold it or something, and give it to your special someone! We’re sure they’ll thoroughly enjoy a piece of paper with our faces on it. Wasn’t that inspiring? Now go forth and write your loved ones some heartwarming verses of your own. 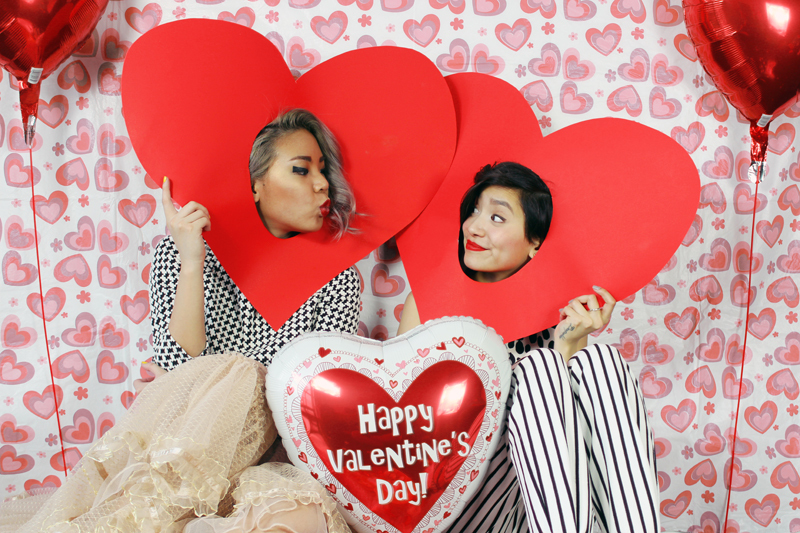 Let us know how it goes, and have a HAPPY VALENTINE’S DAY!!! By admin on February 11, 2014 at 12:24 pm | Posted in miscellaneous, videos and tagged canada, toronto, valentines day. You ladies are hilarious and adorable. I couldn’t stop laughing! Love you two! Y’all are too much! And by that I mean absolutely positively adorable! 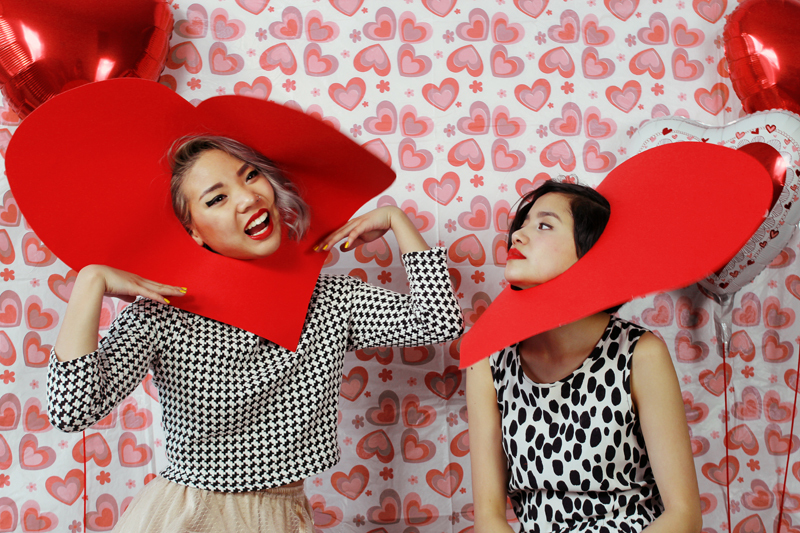 Love the heart cone thingies! Well done, ladies and happy VD! this was so creative and fun! You guys never fail to make me smile. KASTOR & POLLUX is Bianca Venerayan and Danielle Roche. Everything found on this website (unless otherwise stated), is copyright K&P 2011-2014. If you have any questions or concerns, please feel free to drop us a line at contact@kastorandpollux.com.